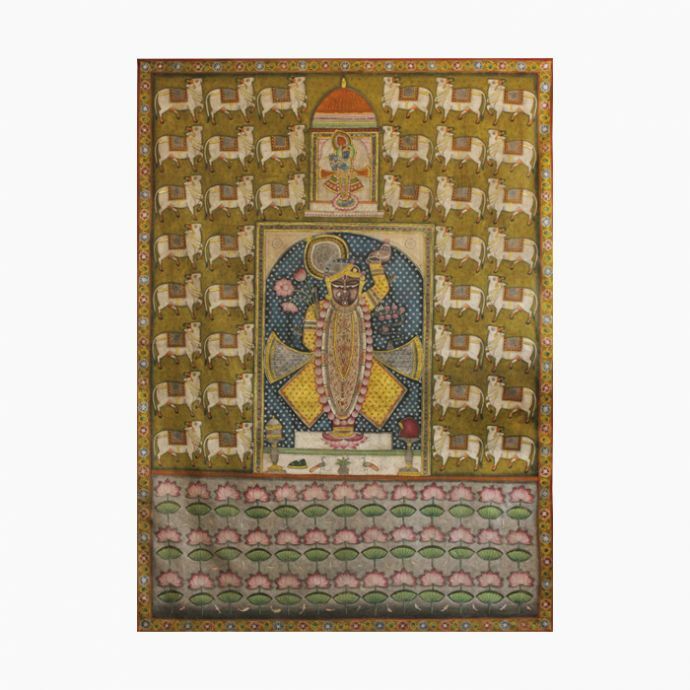 An art form that originated about 400 years ago in the holy town of Nathdwara, Pichvais is an intricate style of painting that depicts tales from Lord Krishna’s life. 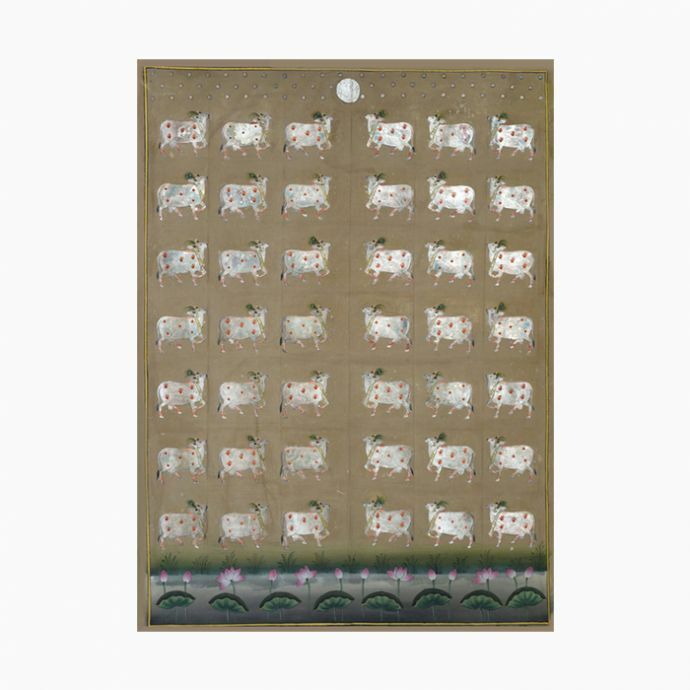 The name “pichvais” derives from the words, ‘pich’ meaning back and ‘vai’, meaning wall hanging; these were created by the members of the Pushti Marg sect in the 16th century. In veneration of Lord Krishna and used as adornment in temples, pichwais weave an untold magic of the Lord’s life with pleasing colours and beautifully depicted serene expressions, or ‘bhav’. Lord Krishna is often rendered as his seven year old manifestation, Shrinathji, on the autumnal festival of Sharad Utsav. 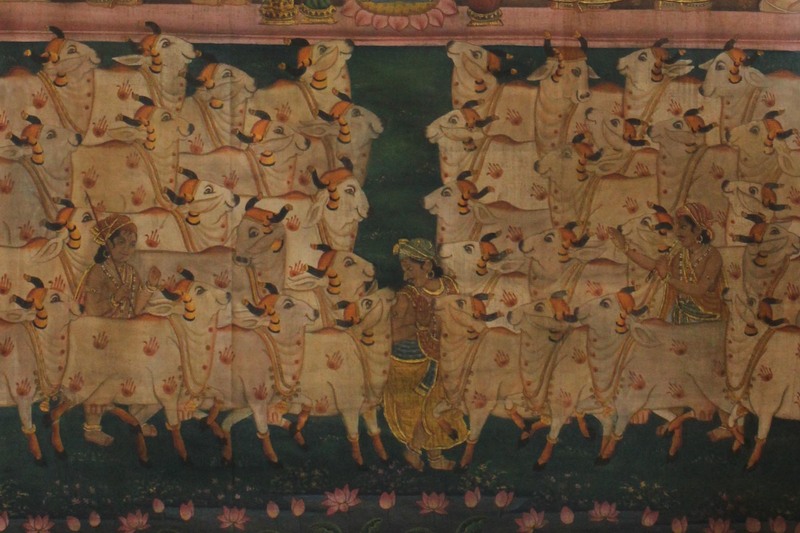 Abounding with illustrations of gopis, or maidens, Nandi cows, and shepherds in earnest adulation of the Lord, this painting is resplendent with minute details and gold leaf work.